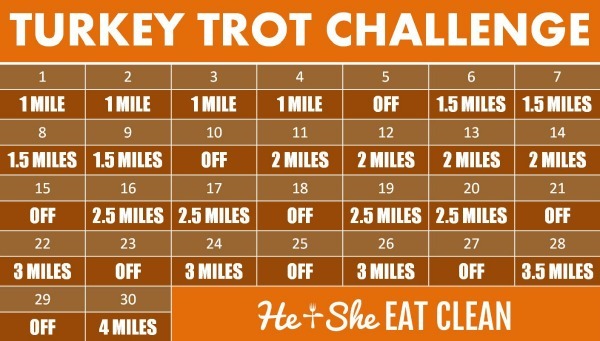 We’ve had a ton of different challenges before but we’ve never had a run/walk challenge! I wanted to do one this month since most of us tend to fall of the cardio bandwagon this time of year – which also coincides with the time that we indulge in more treats than usual! Let’s keep our cardio game going with this 30-day challenge. You can run, you can walk, you can hike, or you can do a combo – just get it done! I also suggest that instead of just running you try to mix it up. Some ideas are sprints (30 seconds on – 30 seconds off, etc), incline training, or a combination of both (check out our cardio/HIIT routines for ideas). Remember, this shouldn’t be your only workout – you still need to keep up your weight lifting! We have 4, 6, and 12-week workout plans for all fitness levels! Use one of our workout plans, our 4-Week Busy Body Plan would be perfect this time of year! You can read all about those here. 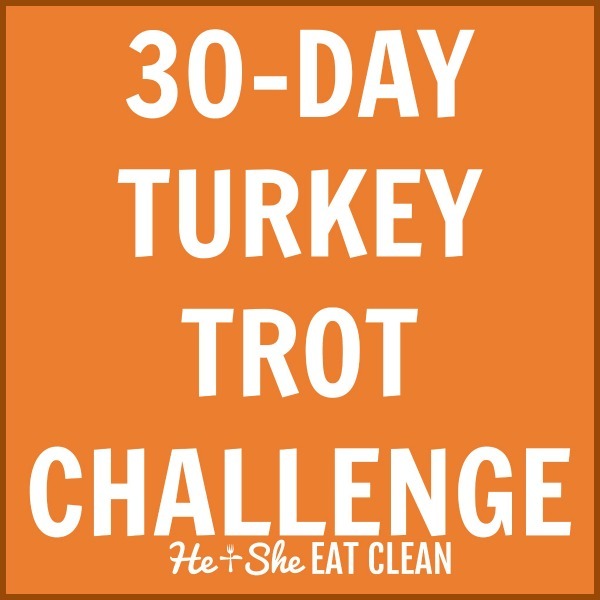 Follow us on Instagram (heandsheeatclean) – we would love to see you trotting – use the hashtag #heandsheeatclean. Looking for a little bit more of a challenge this month? Pair this with one of our workout plans & our Turkey Tone It Up Challenge!